This book provides the fundamental basics for solving fluid structure interaction problems, and describes different algorithms and numerical methods used to solve problems where fluid and structure can be weakly or strongly coupled. These approaches are illustrated with examples arising from industrial or academic applications. Each of these approaches has its own performance and limitations. 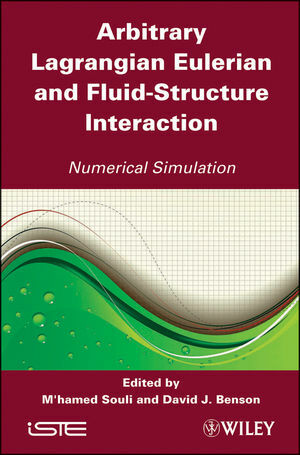 Given the book’s comprehensive coverage, engineers, graduate students and researchers involved in the simulation of practical fluid structure interaction problems will find this book extremely useful. Mhamed Souli is Professor of computational mechanics at Lille University in France. His research and development interests include fluid structure interaction, CFD with emphasis on multiphase flow and coupling with structures, and their applications to industrial problems. David J. Benson is Professor of Computational Mechanics in the Department of Structural Engineering at the University of California, San Diego. He is a Fellow of the American Physical Society, American Society of Mechanical Engineers, and the US Association of Computational Mechanics. He serves on the editorial board of the International Journal of Solids and Structures.